When it comes to picking up a new beach bag, splurging on some new sunnies or heaven forbid, trying to find a new swimsuit, us islanders know that Cayman can have it's limitations in terms of shopping. Luckily we have a lot more quality shops than my childhood growing up on island but it often comes at a higher price and more limited selection. I guess there has to be some draw back to living in paradise; #islandproblems. As much as I love to shop local, I, like the rest of us, enjoy a yearly hand-luggage only trip to Miami shopping to return laden with new Zara workwear, Sephora lotions and potions, and some new on-trend wardrobe updates from Nordstrom or the like. However this isn't sustainable for me or the island and doesn't help to encourage the success of local commerce. Sometimes this approach makes us forget to #shoplocal and see what deals might be available on island. Case and point with my recent discovery of La Boutique at The Ritz Carlton Grand Cayman. 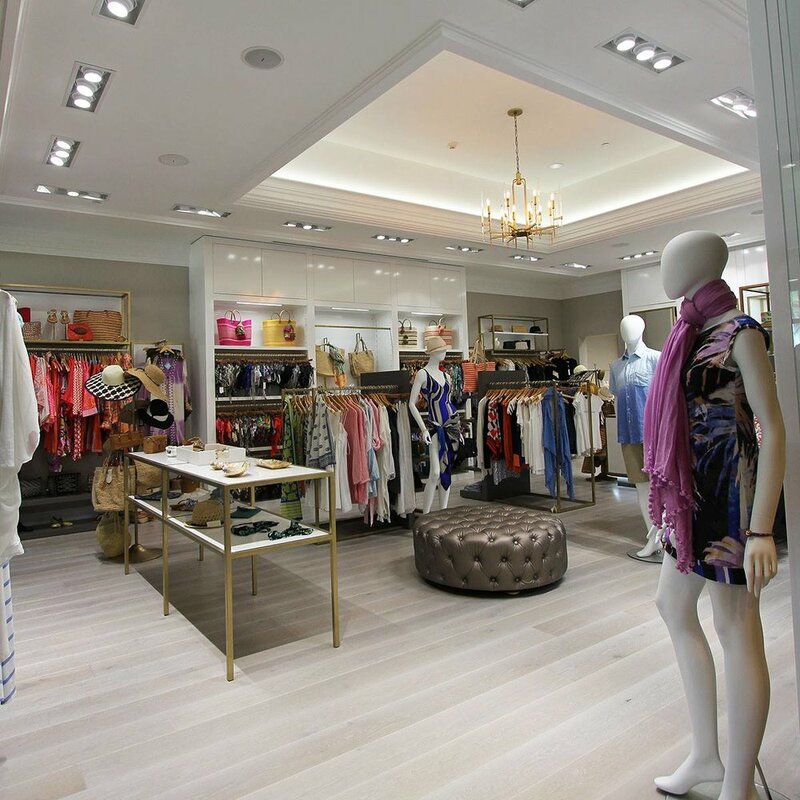 First off La Boutique is stunning - gorgeous floors, bright but friendly lighting and spacious changing rooms. Located near the entrance with valet covered with purchases, it is a joy to visit. With it's extended 7 day opening hours (open daily from 9 a.m. to 6 p.m), it's never normally packed out - a definite win for island shopping over a trip to a US mall! The beautiful shop also houses both men and women's clothing, accessories, swimwear and jewellery and the unique brands and selections make it definitely worth a trip and one where the husband can join (or go to the nearby watch shops to keep himself occupied!). What most surprised me about shopping at La Boutique is the prices. Given it's at a Ritz Hotel, and given the target market, you'd be fair to expect uber high end prices leaving you only to peruse and window shop.To my delight, the prices are really great - here are some of my top picks listed and photographed below! Clutch Bags starting at $40 - good quality, easy to wear clutches as a cute gift to a loved one or yourself! Amethyst bracelets priced at $55 - yogi inspired and beautifully presented. Two piece bikinis around the $150 mark - loads of beatiful brands like Eberjey, Lspace and Trina Turk in beautiful colours and unique cuts. Sunglasses around the $200 mark - some really quite trendy Maui Jims, Ray Bans and a few more that are definitely worth checking out. 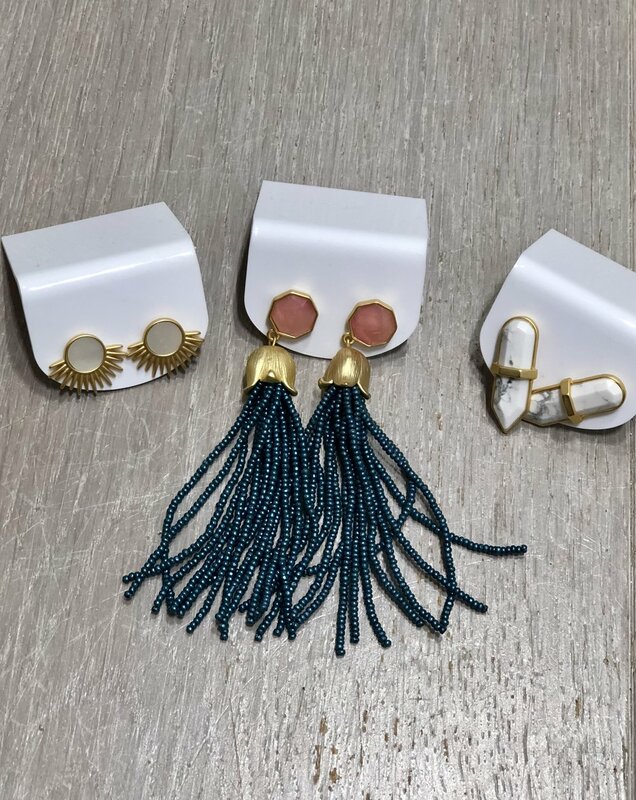 Clothing starting at $100 mark - beautiful Trina Turk dresses to wear to the beach or even a night out, fab Rebecca Minkoff shoes, a fantastic hat selection and our local talent Isy Obi and her handmade Isy B bracelets. And what's even better, as a special birthday treat to me and my #lusticlifetribe, La Boutique is currently offering 10% off all purchases when you mention Lustic Life whilst shopping before 20th July! Special thank you to The Ritz Carlton for partnering on this post. All opinions my own.